I’ll get right to the point. I’m not buying a pair of Nikes this week because I don’t need them. No, I’m not boycotting Nike. Far from it. I think Nike’s recent move to feature Colin Kaepernick in their ads is strategically very clever, and more generally I’m supportive of Kaepernick’s kneeling as a form of protest, and so by extension I’m supportive of Nike’s support of Kaepernick. And no, I don’t think there’s any need to decide between those two analyses: a given business decision can be both strategic and ethical, opportunistic and morally laudable. I think Nike has scored well on both counts, in the present case. But buying a pair of Nikes I don’t need would be almost as silly as burning a pair. I’ve already got a good pair of athletic shoes for running, and I’ve got a couple of nice pairs of sneakers for walking around town. And so I think buying a pair of Nikes this week would be foolish. For starters, it would be a foolish waste of money I could spend on something else—like, say, a $175 donation to the ACLU, or the NAACP. And generally, buying Nikes wouldn’t accomplish much. Yes, in principle I’d like to pat the company on the back, but me shelling out for a pair of shoes is hardly going to be noticed by a company with over $30billion in revenue. Nor is anyone going to notice my flashy new Nikes, and nod in appreciation that I’m on the right side of this debate. When so many people sport a particular logo—sporting it for so many different reasons—that logo’s significance as a signal is necessarily close to zero. Finally, this issue is a good opportunity to talk about what values we think should determine our behaviour in the marketplace. Do we really want politics creeping in? Is that a good thing? Should lefty consumers really stick to buying shoes (or cars, or broccoli) from lefty producers, and should right-wing consumers stick to buying from right-wing companies? Or should we instead stick, generally, to buying good, well-made products that suit our needs? Markets work better when we ignore each other’s political leanings. Voltaire noted it in the 18th century, pointing out how marvellous it was that the Christian, the Jew, and the Muslim could set their religious differences aside in order to engage in trade. And so, as my friend Alexei Marcoux, argued more recently, we should be wary of letting the marketplace become what he calls a ‘market for values.’ “The market for values,” he argues, “undermines and displaces toleration in the most important venue for social cooperation in a commercial society—the market.” The marketplace is a place where we learn to accept differences of opinion; we shouldn’t jump at opportunities to let our differences of opinion interfere we behave in the marketplace. A friend-of-a-friend of mine runs a mid-sized construction company in Latin America. As many readers will know, that industry in that region has a reputation for a relatively high degree of corruption, and in particular bribery. When was the last time someone told you a story like that? We don’t often enough tell stories of integrity when we talk about business ethics. As a professor, I know I’m guilty of this. What cases get discussed in a typical business ethics class? You know the list well. Enron. Volkswagen. Wells Fargo. Equifax. Walmart. Spend 12 weeks discussing companies like those and you could be forgiven for thinking that the world of business is a rotten place. For a student, that may mean graduating and heading off into a career armed with a particular preconception about what kinds of behaviours are normal in business, namely rotten ones. But I’m convinced that good behaviour, by people of high integrity, goes on all the time in business. This week’s case in point: a pharmacist in Cape Breton, Nova Scotia, has decided to stop selling homeopathic remedies. Why? Because he looked at the available evidence (he’s got the relevant scientific training) and realized that there’s no good evidence that homeopathic remedies actually work. And as a business owner, and as a professional, he decided he simply couldn’t continue to sell those products. But back to my main point: we need to celebrate integrity when we see it. It’s out there. It may be more common than its absence, it’s just that bad behaviour gets all the press. That’s a shame, and we should all do our part to nudge things in the opposite direction once in a while. The public’s perception of the world of business would benefit from it. And my impressionable students — soon to be your youngest employees — will be shaped by it. Should Starbucks care more about the homeless, or its employees? Should it care about them equally? Should it even be in the business of balancing such interests? More generally, how should a company prioritize its stakeholders? Should a company try to do the most good, or try to do the most good for those most intimately involved in the company? These questions came to mind recently following a random interaction on Twitter. Someone tweeted the story about Starbucks trying to figure out just how welcome the homeless are in its stores, and in particular in its bathrooms. One respondent said, roughly, that maybe the least Starbucks could do is to put a donation jar on the counter (a common enough thing!) and donate the proceeds to the homeless. Nice idea. But consider this. Should the donation jar replace the tip jar that’s often on the counter at Starbucks? After all, there’s only so much space on the counter. And if the donation jar replaces the tip jar, then the company is implicitly prioritizing the homeless over its own not-terribly-well-paid employees. Even if they were to find room for two jars, having two is still going to means less tip money for employees. I only get so much change back when I pay for my latté, and it’s either going in one jar or the other, or is (less likely) getting split in half. Who should the company side with—poor-but-employed employees, or the homeless? The fact that the answer isn’t obvious (and if you think it’s obvious, you’re not thinking hard enough) suggests two broader lessons. One is that it’s a mistake to think that business ethics is easy, and that companies should simply “clean up their act” and “do better.” Critics too often assume that greed is the simple reason that companies aren’t doing what they want them to do. But sometimes it’s because doing what Critic A wants you to do is going to make you an evil-doer in the eyes of Critic B. The second lesson has to do with the popular but ultimately impotent notion of “creating shared value.” That notion, made popular by Michael Porter and Mark Kramer, suggests that the key to socially responsible business is to focus on the “shared value” that is created whenever business is done. As others have pointed out, the notion that business is about value creation is hardly new. That’s Capitalism 101. How to create value is the key question for all would-be business people. But the question of how that value gets shared—within whatever discretionary limits market forces permit— is the really hard question for ethics. When and Why are Leaders Responsible? The idea that leaders bear ultimate responsibility for the success or failure of their organizations is an old one. Maritime tradition has long held that “the captain goes down with the ship.” And US Harry President Truman’s desk was famously adorned with a plaque that read, “The buck stops here!” Leaders historically have accepted, at least in theory, that they bear responsibility for both the good and the bad. It’s worth pointing out that the responsibility at stake here is not direct causal responsibility. Sometimes leaders make disastrous decisions, but responsibility goes well beyond such cases. The reason the captain goes down with the ship (or, more precisely, is expected to be last off) is not that the boat’s sinking was necessarily her fault. And the fact that Truman eschewed passing the buck didn’t imply that he thought everything that happened in a very large federal government was literally his fault: he was saying that morally he accepted responsibility, which meant that accepting responsibility was his job. Ships and governments aside, accepting responsibility is something we expect in a business leader, too. Unfortunately it’s alarmingly common to see CEOs fail to accept responsibility for their companies’ financial ups and downs, let alone for any moral failings. But then, in a complex organization, why should a leader accept responsibility? One possible answer is that, well, someone needs to do it. When passing the buck is common, but there’s a need for accountability, the buck has to stop somewhere. And maybe that’s part of what defines the job of head honcho: you’re the one who takes the blame. But that’s not much of an explanation. If it were merely about the need for someone to take the fall, surely we wouldn’t choose the one person who had been hired because she or he has the talent to make things better. The CEO, in other words, would be an unlikely sacrificial lamb, if a sacrificial lamb were all that was required. Another possibility is that it is merely a contractual term: you’ll get to be boss, and we’ll pay you well, but if things go south, you’re going to get the blame. Taken literally, this would imply a kind of strict liability: it doesn’t matter what you did, you’re going to be punished anyway. This arguably makes the leader into a kind of whipping boy, which, in the historical sense, was a boy who could be punished by a prince’s tutor for the transgressions of the prince who, as royalty, was himself immune to being punished personally. But surely for leaders an actual causal connection to the success or failure of the organization is part of the puzzle. A third approach would be to understand ultimate responsibility in terms of motivation: when you know that you’re going to be held responsible if things go badly, then presumably you’re going to work hard to make sure that things go well. If that’s the case, it’s worth spelling out the structural features of leadership that make attribution and acceptance of ultimate responsibility make sense. That is, what features of being a leader make it possible for a leader reasonably to accept that she will ultimately be held responsible for any- and everything that goes wrong? 1. The power to choose your team: Corporate leaders have ultimate (direct or indirect) control over who is hired, and who is fired. If someone screwed up, it’s because you either hired them, or you hired the person who hired them. So, you’re responsible. 2. The power to put policies in place: Corporate leaders are responsible for seeing that the right policies are being put in place. If things went badly because people followed bad policies, it’s your fault. If things went badly because people didn’t follow policy, that’s your fault too (see #1 just above). 3. The power to shape culture: Culture is the tool that allows leaders to shape behaviour in ways that have impact even when they’re not personally around. This starts with tone at the top, but includes everything from how compensation schemes are structured to the behaviours that get celebrated and the stories that get told and retold. When leaders have these powers, it makes sense not just for them to have formal responsibility, but for them to be seen as having a level of control that implies sufficient causal responsibility to underpin ultimate moral responsibility. Of course, where leaders (at any level) lack one or more of these tools, it is harder to make sense of holding them accountable. This itself has two implications. First, we need to be cautious when blaming leaders for the failures of their organizations. We need to look at whether the leader in question actually had (in theory and in practice) the power to hire and fire, the power to shape policy (which is sometimes constrained by legislation, collective agreements, and so on), and the power to shape culture (which often takes a very long time). The flip side of that coin is that we need to realize that precisely because leaders are going to be held responsible, we need to make sure they do have the relevant powers. The principle of ultimate responsibility doesn’t just apply to CEOs and other top-tier leaders: it regularly gets applied to leaders at all levels. This implies one more responsibility for top-tier leaders, namely the responsibilityto make sure that leaders throughout the organization have the tools they need. If the NRA were a publicly-traded corporation, I’d be short selling its stock. Not because the organization is going away any time soon, or because I think Americans are going to repeal the Second Amendment any time soon. But because a group of high school students seem to be doing substantial damage to its already divisive brand. And I’m willing to predict that its brand is going to suffer serious and meaningful damage over the coming weeks and months. The primary reason is, of all things, a commercial boycott, spearheaded by the student survivors of the recent Florida school massacre, and their supporters. It’s one of the few boycotts I’ve seen that I think actually makes sense, tactically and ethically. It’s an unusual boycott, in many ways. It’s not aimed at the NRA’s core business—for a membership-based organization like the NRA, that would mean reducing membership. Yes, the boycott is officially called (and hashtagged) #BoycottNRA, but those involved aren’t boycotting the NRA itself, burning their membership cards and so on. They’re boycotting companies that do business with the NRA, and in most cases this means companies that provide benefits to NRA members in the form of things like discounts on purchases or cash-back NRA-branded credit cards. And a stunning string of companies—from Avis to Delta Airlines to MetLife to Symantec—have already caved to the pressure. Boycotts are mostly stupid, and often immoral. They seldom have much impact, and are often more likely to hurt low-level employees than CEOs or shareholders. Front-line employees, after all, are the ones who get yelled at by angry boycotters, and are most likely to be lose their jobs if the targeted organization ends up needing to tighten its belt. Their role, in most cases, is to let people vent, to engage in virtue signalling, and to give them a focus for their indignation. But this one, I think, is different. For one thing, the boycott is so diffuse—targeted as it is at dozens of companies—that little real impact can be expected to be felt by those companies, in terms of the bottom line. (Sure, a bunch of people will give up using FedEx—one of the few major companies to hold its ground against the boycott— but are they really going to boycott two dozen companies, and suffer that much disruption of your consumption habits? I bet few will.) This means that no innocent bystanders are likely to be harmed. The pressure is primarily symbolic, and so are the concessions. Well, no kidding. But surely that’s not the point. Hurting the NRA by driving a wedge between them and a couple dozen national brands is intended to send a signal to politicians who are cozy with the NRA. Affiliation with the NRA is no longer a clear plus, if it ever was. As the NRA’s brand weakens, so are those relationships likely to become less cozy. In just about any other industrialized nation, the NRA would be a quaint fringe group. And its antiquated understanding of what a citizenry needs in order to safeguard itself against tyranny would be laughable, if it weren’t so dangerous. It’s long been said that the pen is mightier than the sword. We’re about to find out whether the boycott is mightier than the gun. It has to be admitted that the Ram Trucks ad featuring a speech by Martin Luther King, Jr, and played during this year’s Super Bowl, was in fact reasonably subtle. The company’s logo only appeared at the very end, and without much fanfare. In a world of yippee-ki-yay truck ads, featuring manly men doing implausibly manly things in their oversized, manly trucks, an ad focused on promoting service to others set to the inspiring words of true hero is kind of refreshing. Or could have been. Except this is 2018, so what on earth was Fiat Chrysler—makers of Ram trucks—thinking? A lot of people are referring to the add, and its use of King’s voice to sell trucks, as “tone deaf.” Some on Twitter were merely “disappointed.” Some referred to it as being in “really poor taste” and “insulting” and even “exploitative.” Others referred to it as an act of appropriation. A number mentioned the irony of celebrating a black civil rights activist during the Super Bowl, given that a black football player—Colin Kaepernick—has effectively been blackballed for his activism. Now, apparently Fiat Chrysler had the consent of King’s family. That’s clearly important, legally and morally. But members of the family aren’t the only relevant stakeholder here. When an individual, or his memory, is a national treasure, there’s a lot more to consider. Clearly, judging by the blowback, an awful lot of people (of all races) feel that they have a stake here, and felt that the commercial was problematic. It’s useful when examining things from an ethical point of view to start out charitably. So let’s grant that it’s entirely possible that someone at Fiat Chrysler just really, really admired Dr King, and wanted to be able to use 30 incredibly expensive seconds of Super Bowl airtime to play his words. They are, after all, very good words. More people should hear them. Having over a hundred million people hear them all at once is, in principle, a very good thing. But…2018. The controversy over the commercial is reminiscent of the controversy over businesses attempting to honour veterans, for example by marking what is called Veterans Day in the US, and Remembrance Day in Canada. (On that topic, ssee my older piece, The Ethics of Businesses Honouring Remembrance Day. See also: How Should Companies Memorialize 9/11?) Honouring veterans is generally a good thing. Capitalizing on the respect we all pay them, however, is a bad thing. The difference here, though, is that the world sort of forces the veterans question upon businesses by designating a special day for honouring veterans. It happens on November 11 (in North America) and on that day, every year, companies are bluntly faced with the choice: either mark the occasion (and risk being accused of capitalizing on the sacrifices made by veterans) or ignore it (and risk being accused of, well, ignoring it). But with regard to a figure like King, advertisers have the option of just staying clear. And it’s easy to see the case—both the business case and the moral case—for diving in: linking your brand to the words of a hero is (if it works!) a marketing coup. And if you’re going to celebrate heroes, then it seems like an especially a good thing to celebrate one who fought for such an important cause. But then, celebration bleeds so readily into commercialization. And maybe it’s literally impossible for a company to do one without the other. Maybe it would be possible, in a fairer world, a world in which so many people didn’t have so much reason to guard King’s image and words so jealously. Maybe the folks at Fiat Chrysler needed a bigger focus group, or one that was simply more woke. Was it right to fire an employee for giving President Trump the finger? Is she defiantly hero, or a disrespectfully flippant? The woman who flipped off Trump has lost her job. Did her employer act ethically? Juli Briskman—irked that the president was golfing when he ought to be focusing on more important matters—raised her middle finger at Donald Trump’s motorcade as it zipped past her on her bicycle near Trump National Golf Club last month. And for that, she was fired. I’ve written a few times about people being fired for their off-the-job behaviour (See: Fired for Being a Jerk in Public and Should Rioters be Fired? and Hydro One Was Wrong to Fire Hooligan Employee). In particular, I’ve argued that while it is often satisfying to see some idiot fired over their bad behaviour, we should be cautious about endorsing such moves by employers. For one thing, we should be cautious about endorsing the intrusion of our employers into our private (or at least, non-work) lives. For another thing, there are too few checks on employers’ power: when people are fired for off-duty behaviour, there’s a chance that this sort of ‘punishment’ will be capricious, and disproportionate. It is, in short, a rather rough sort of justice. Ms Briskman’s employer is—or rather was—Akima L.L.C., a holding company that “oversees government contractors”. Now, one of the sometimes-legitimate reasons for firing an employee over their off-the-job behaviour is when the employee’s behaviour stands to damage the company’s legitimate business interests. And when you’re a company whose business relies on government contracts, having an employee publicly insult the president is a serious concern. So while those of us who agree with Briskman’s sentiment may regret the loss of her job, we should hardly be surprised, and perhaps not offended, at her employer’s actions. But this case serves a useful purpose in highlighting the role of critical thinking in ethical decision making, because I sense a lot of people out there had a very different reaction to this case than they did to some of the previous high-profile cases of employers firing employees for high-profile off-duty shenanigans. If your moral reaction to this one is different from the last one, you need to think about why. Are you being inconsistent, or is there actually some unspoken principle according to which the rightness of the employer’s action is determined? Is that unspoken principle something other than your own political leanings? A good test of your moral intuitions is generally to put the shoe on the other foot. In particular, when you applaud the exercise of autonomous judgment or freedom by some individual, group, or company, ask whether you would still applaud it if the individual, group, or company had values different from your own. Applying that to the question of firing employees for their “bad” behaviour off the job: If you think you are in favour of an employer feeling free to fire an employee for behaviour that you think despicable, ask whether you would like employers to follow the same standard when the behaviour in question is one with which you’re sympathetic. If not, then you should probably have second thoughts about the previous cases in which you endorsed rough justice being handed out by employers. The university just wanted to solve the short-term brand headache of a faculty member’s controversial opinion, but it harms its brand in the long term. Brands are a funny thing. Sometimes we do damage to their long-term value by focusing too narrowly on protecting them in the short run. As many Canadian readers, at least, will know, McGill University professor Andrew Potter recently resigned from his post as Director of the McGill Institute for the Study of Canada (MISC), in the wake of controversy over a short piece he published in Maclean’s magazine that was critical of Quebec society. McGill’s administration claims, unconvincingly, not to have exerted pressure, and (again, unconvincingly) that it believes fully in academic freedom. The problem, says McGill’s principal, Suzanne Fortier, is that the opinions Potter expressed, and the way he expressed them, are incompatible with the mission of MISC and the role its director needs to play. That, of course, is pure speculation on her part. The Potter affair is personally troubling to me, in two ways. First — full disclosure — Andrew is a pal of mine. He’s the one who first introduced me to the then-editor of Canadian Business and got me this gig. He’s also one of the good guys. A sharp wit, a first-rate mind, and a decent human being. The second reason why Potter’s troubles are troubling to me is that, well, you’re reading this. That is, I’m not just a professor — a philosopher teaching in a business school — and director of a research institute, but one who writes about issues of public significance in a very public way. I’ve been blogging for over a decade, and I appear pretty regularly on TV and radio to comment on controversial issues. So the fact that Potter got sacked, as director of a research institute, for saying something in public that roused critics, is immediately worrisome to me. I write about business ethics, which pretty often means being critical of businesses. And as you may have noticed, business corporations play a pretty significant role on university campuses these days, and especially at business schools. It would be very easy, on any given day, for my blogging to raise the ire of one or another corporate sponsor. As it happens, I have a lot of faith in my dean and in my university’s president; I’ve worked closely with both, and I believe in them just as I hope they believe in me. (And no, I’m not sucking up — if I thought I needed to, this blog entry wouldn’t be sufficient.) But then, perhaps Andrew Potter had faith too, and if he did it didn’t work out well for him. But really, that’s beside the point, because I’m not supposed to need that faith. It’s not supposed to matter who is at the university’s helm. That’s not how trust in an institution is supposed to work. As it happens, I’ve blogged a lot about trust. (See, for example, here and here.) My usual theme is the essential role that trust (and hence ethics) plays in commerce. And one of the key mechanisms used in the modern business world to generate trust is brand. You don’t need to put your faith in the Starbucks barista when she promises you a great latté, as long as you’ve got faith in the Starbucks brand. You don’t need to trust the Apple employee who sells you the laptop if you’ve got faith in Apple itself. You trust those reputations. Reputations build brand, and brands build trust. But the bigger point isn’t about business, but about the role that trust plays in institutions of all kinds. So, yes, I continue to blog, and write editorials, and get in front of TV news cameras, with considerable faith that my role as director of a research centre is secure. And that faith is grounded not in my faith in the folks who happen to lead the business school and university that employ me; it’s grounded in the brand. It’s grounded in my faith in an institution, and the culture it embodies and the way everyone knows it’s supposed to work. It’s grounded in my faith not just in Ryerson University, my employer, but my faith in the larger brand of which it is a part, namely the grand institution of academic freedom. This is a brand — or perhaps franchise — that universities across Canada proclaim themselves dedicated to protecting. So I get to go about my day knowing that even if the leaders of my university had less integrity than I know them to have, I’d be pretty safe, because they would be rationally committed to protecting the brand. They wouldn’t throw me under the bus for the academic equivalent of a short-term profit. In this regard, the ‘brand’ of academic freedom in Canada is weaker today than it was before the Potter affair. And in particular, the McGill brand — dependent, as it is, in part, on McGill’s status as a franchisee of the academic freedom brand — is weaker today than it was two weeks ago. People — including, importantly, the university’s professors — can’t quite trust McGill the way they used to. And that loss sits not with a single professor who wrote something rash, but with the academic leaders who sought to protect the university’s name in the short run, without sufficient regard for what that would mean to the brand, in the longer run. 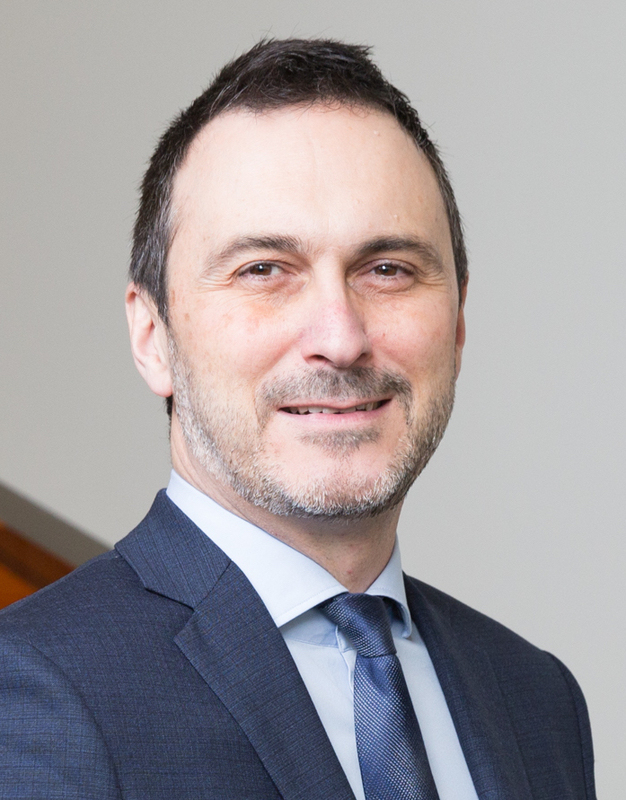 Chris MacDonald is director of the Ted Rogers Leadership Centre, at the Ted Rogers School of Management, Interim Director of the Ted Rogers MBA at Ryerson University, and founding co-editor of Business Ethics Highlights. What’s a responsible business to do in the face of a Trump presidency? This has been a live question for months now, and growing more challenging with each day that passes. For some time now we’ve known that Trump is unpredictable. He’s a businessman but not a free market capitalist. He’s financially on the left except when he’s on the right, and socially on the right except when he’s on the left. He’s a member of the business elite who panders to populist sentiments. And most recently, he’s increasingly acting like a tyrant. And this past weekend, the challenge became more acute for many businesses. The latest problem is Donald Trump’s recent executive order banning the admission of refugees to the US entirely and likewise banning immigrants from seven Muslim-majority countries. Besides being patently immoral, implausible in its likelihood of achieving in its stated aims, and legally problematic, the ban was also apparently poorly thought out, with little clear consideration of the challenges that implementation would bring. Further, there was little clear consideration having been given to —or perhaps just little concern about— the problems the ban would pose for businesses that rely on talent from the seven banned countries. But of course the problem with the ban goes beyond, well, the problems with the ban. The ban, and whether it might be broadened, and whether it might be followed by other rash decisions, also represents to the business community a troubling signal of uncertain times ahead. Most businesses thrive on stability and predictability. Trump has signalled his unwillingness to provide that. Are businesses leaders obligated to speak up like this? Clearly speaking up comes with risks. The US now has a president who takes everything personally, who treats every criticism of policy as a personal affront. But in business as in politics, with power comes responsibility, and if ever there were a question of public policy that represented both a humanitarian and a business issue, this is it. So a good case can be made for an obligation on the part of business leaders to speak up. If nothing else, leaders have a clear obligation to express solidarity with their own beleaguered employees, even if they find themselves unable or unwilling to denounce the ban outright. Something is better than nothing. What else can a business leader do? Some have already gone beyond criticism. Starbucks CEO Howard Schultz has pledged to hire 10,000 refugees over the next 5 years. Few companies can make plausible promises on that scale, but it does raise intriguing questions about what could be done. Lyft co-founders, John Zimmer and Logan Green, pledged to donate $1,000,000 to the American Civil Liberties Union, an organization working to fight the worst consequences of Trump’s policy on a number of fronts. Again, not something everyone can do. But the range of options deserves to be explored. I’ll end with a quick list of 6 factors that any business leaders should consider in deciding whether and how to take action during a political and humanitarian crisis. 1) How bad is the situation? Not every situation is dire, and you’re not obligated to jump on absolutely every grenade. 2) Do you have special role-related responsibilities that suggest a particular obligation to either speak or stay silent? The CEO of a publicly-traded company has a wide range of obligations, including to shareholders and employees. When taking action jeopardizes those interests, it should be approached with caution. 4) What’s the likelihood that you can have an impact? We’re not all Jeff Bezos or Mark Zuckerberg. If your words won’t help, then you’re less obligated to use them. On the other hand, don’t dismiss the power that your words could have, not least among your own employees. 5) What is the symbolic value of your action? You may not be able to donate a million dollars, but sometimes donating anything can be a show of commitment, of solidarity. 6) Ask whether the issue is divisive only because of petty ideological disputes. With regard to the controversy over Trump’s immigration policies, for example, it’s worth noting that there are prominent American liberals, libertarians, and conservatives who have taken strong stances against them. This one, in other words, is not a narrow ideological matter. Difficult times call for difficult choices. Sometimes those choices are defining choices. The choices you make can help shape the world, in addition to telling the world what kind of leader you are. The New York Times recently carried a blog post by columnist and Nobel Prize-winning economist Paul Krugman about US president-elect Donald Trump and the worries that Trump would be unable, or simply unwilling, to disentangle his business dealings from his activities as president. Krugman argued that the real danger was not that Trump’s entanglements would foster corruption and that said corruption would bring trump profits. The problem, Krugman argued, is the way such entanglements would warp the incentives of the world’s most important decision maker. This is just right, as far as it goes. The problem isn’t that Trump might make money. If he ends up richer after a term as president than he was before, that in itself is not necessarily a problem. (Barack Obama, for example, is wealthier today than he was 8 years ago. Book royalties — hardly blameworthy — are the main source of that wealth.) No, the problem is that the desire to make money, or even a subconscious awareness of the opportunity to make money, will affect the way Trump, and the senior policy makers he appoints and for whom he sets an example, make decisions. When Foreign Policy A is, let’s say, “revenue neutral,” whereas Foreign Policy B stands to benefit Trump, or his blind trust (if he establishes one) or his kids, what are the odds that Policy B will win the day? And will it matter to Trump that Policy B isn’t as good for America as Policy A would have been? This, at a first approximation, is the real problem with conflict of interest. A conflict of interest is a situation in which a decision-maker is entrusted with making important decisions on behalf of someone else, and in which that decision-maker has some further, “outside” interest (often, but not always, financial) which may stand to influence their decision making. The problem here is not the opportunity for enrichment; the problem is that the responsibility to put someone else’s interests first, to do what’s right for them is in jeopardy. The professional literature on conflict of interest is pretty much consistent on this point. But I would argue that the real worry is one step more subtle than this. As my colleague Wayne Norman (Duke University) and I have argued in print, the real problem with conflict of interest is not just that this decision maker will make bad decisions this time, or even that this decision maker will make bad decisions all the time. The real risk is loss of faith — loss of faith in the entire institution in which the decision-maker is embedded. So, were a judge to adjudicate a case involving a loved one, the risk is not (merely) that she might render a bad decision. The risk is that onlookers would begin to doubt the objectivity of the judicial system as a whole. When a physician prescribes expensive medications made by a company in which she just happens to own stock, the real risk is not that this won’t be the right medicine, but that patients will come to doubt, quite generally, the motives underlying their physicians’ decision-making. Do people already mistrust politicians? Sure. Survey results bear that out. But the mistrust of politicians is, in North America at least, not universal and hasn’t resulted in, for example, widespread abandonment of political participation. Most of us are still capable of being shocked. So the real risk inherent in the nearly inevitable entanglement of Donald Trump’s financial and political lives is not that he’ll make money, and not (just) that he’ll make bad policy decisions. It’s that the Trump era will make corruption, or even just the routine mishandling of conflict of interest, normal, the kinds of things we all take for granted.